Whether you’re public speaking or making a pitch at a networking session (still public speaking!) there’ll probably come a time when you want to share success stories – either your own or that of a client. There’s a handy framework for doing this. HR people love it as it’s useful for sharing your competencies during job interviews, but it’s also useful for bragging (just a teeny bit) about your business success. It’s one I frequently share with my clients who come to me for help with business networking and with promoting their biz with speaking. STAR stands for SITUATION, TASK, ACTION, RESULT. You can use the SITUATION part to set up your story. What was your client’s situation before they met you? Why did they come to you for help? Paint a picture of a client in need! TASK is all about what you were tasked to do to solve the problem. ACTION refers to the action you took to solve the problem. Make your story more exciting by referring to looming deadlines, tight budgets and exacting standards that served to make it harder for you to get the job done. RESULT – how did things turn out? Of course, you saved the day and everything was hunky dory, but make sure you explain how happy your client was as a result. Share how much money you saved them, or what penalties you prevented them from suffering in the nick of time. When we’re telling stories about our accomplishments there’s a tendency to make them sound a bit dry and boring because we don’t want to big ourselves up too much. BUT…if you’re committing to telling this story, then also commit to making it as interesting as possible which includes rich detail. There’s more on how to tell great stories in my module on being an INSPIRING speaker, found in 6 Week Speaking Success and Get Clients with Speaking. For more detail, take some time out to watch the video above, but I hope this serves to help you with structuring those tales of your accomplishments. It’s important to share this information so instead of it sounding like a rambling account, make it to the point and precise with the STAR framework! 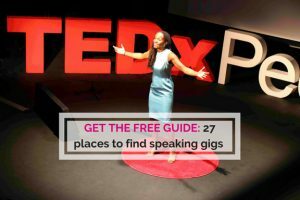 1 – Get my free guide – 27 places to find speaking opportunities. Find out where your next speaking opportunity might come from – whether you’re a beginner, intermediate or experienced speaker. 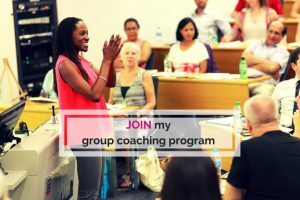 2 – Join my Facebook Group – Public Speaking for Female Coaches and Entrepreneurs. Join us for tips, discussions and community! 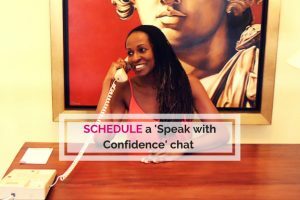 4 – Find out about my VIP Days and private coaching. Book me for a VIP half or full-day session if you want to make some serious progress! We could help you create a business networking strategy and perfect your pitch. Or we could work on your signature talk so that audience members or hungry to work with you. Or we could explore frameworks and strategies to help give you confidence whether you’re speaking at conferences, in meetings or at other events. Or more! !